Summer is the time for big, messy sandwiches and New Orleans-style po'boys are some of the best. While I will happily dig into a shrimp or oyster po'boy, I also appreciate a vegetarian version (as do my vegetarian friends). Here, I've used tofu in place of the seafood. 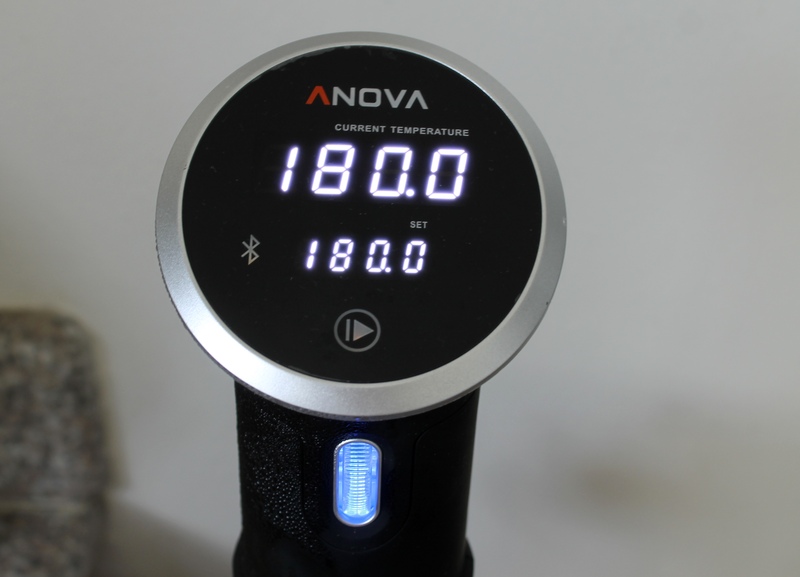 Preparing the tofu in the Anova Precision Cooker infuses the flavor of an umami-filled marinade into the often-bland protein, and it renders the texture tender and supple. 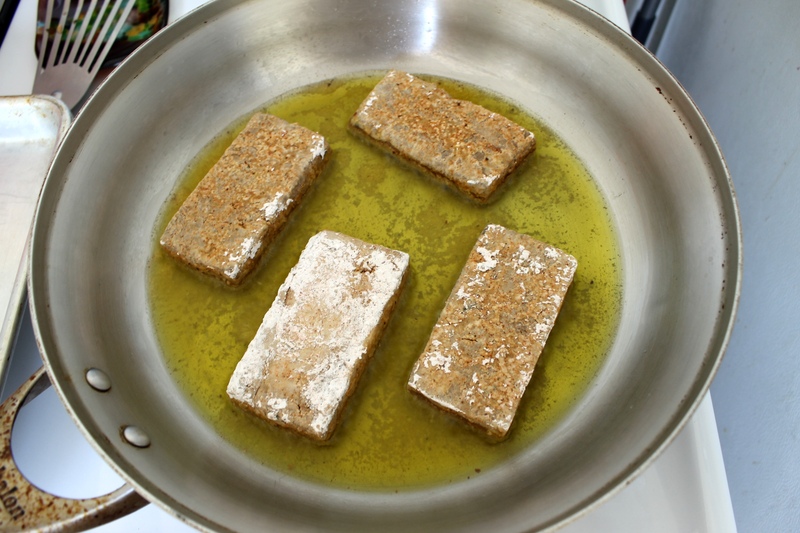 Next, I dredge the cooked tofu in a spicy cornstarch mixture and give it a quick fry for crisp contrast. Remoulade sauce, lettuce, and tomato are the final touches. 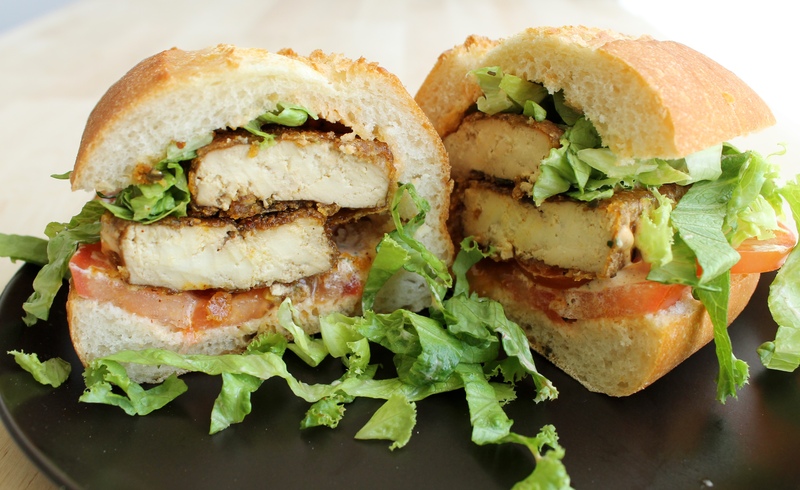 The tofu recipe is inspired by Bryant Terry's po'boys in his fabulous cookbook, Afro-Vegan. And yes, there are a lot of ingredients, but they're mostly pantry staples. Note: If you'd like to make the recipe vegan, you can substitute a vegan mayonnaise (such as Just Mayo) and eliminate the Worcestershire sauce from the remoulade. You will have extra Creole seasoning. Use it for any other recipe when you'd like an extra punch of heat. 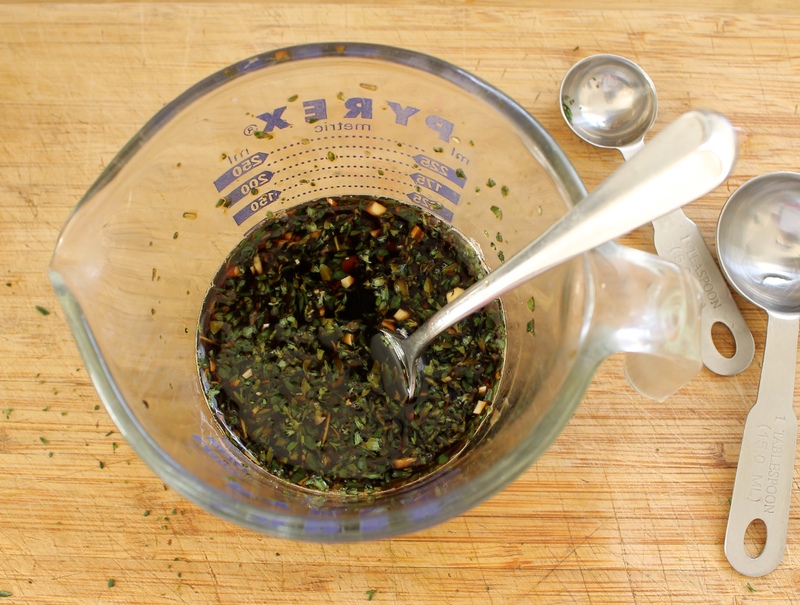 In a small measuring cup, combine soy sauce, orange juice, vinegar, water, fresh thyme, 1 clove garlic, and 1 teaspoon lemon juice. 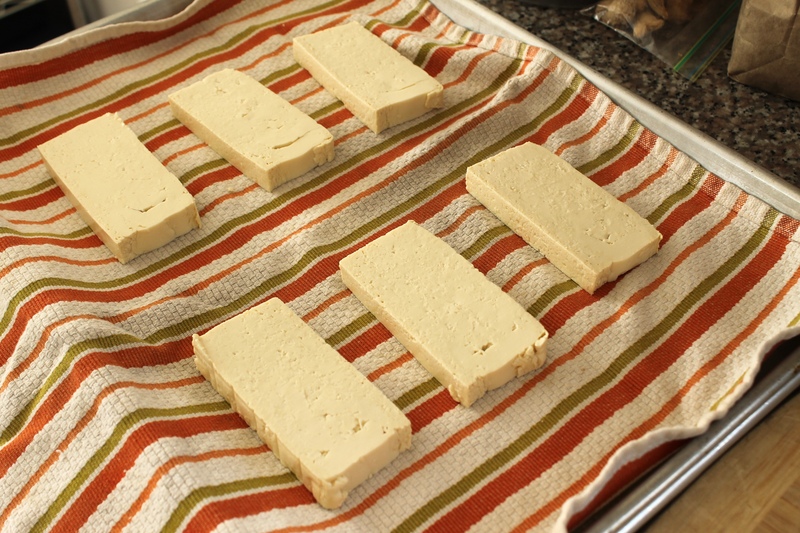 Place tofu in a single layer in a large zipper lock or vacuum seal bag. Add the soy sauce mixture. Seal the bag using the water immersion technique or a vacuum sealer on the moist setting. Place the bag in the water bath and set the timer for 2 hours. 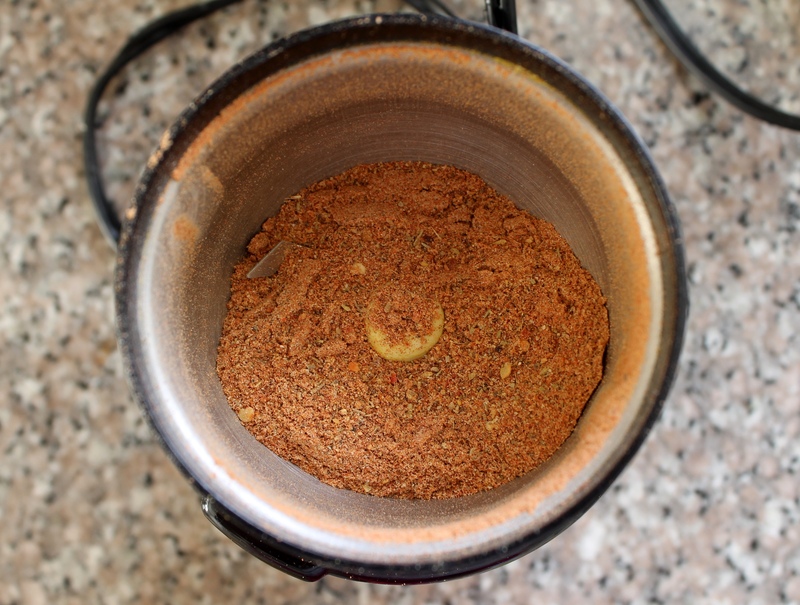 While the tofu cooks, prepare the Creole seasoning: Combine 1 1/2 teaspoons paprika, the garlic powder, black pepper, onion powder, chili powder, pepper flakes, dried thyme, oregano, 1/4 teaspoon cayenne, and 1 teaspoon salt in a spice blender. Blend to a fine powder. Set aside. 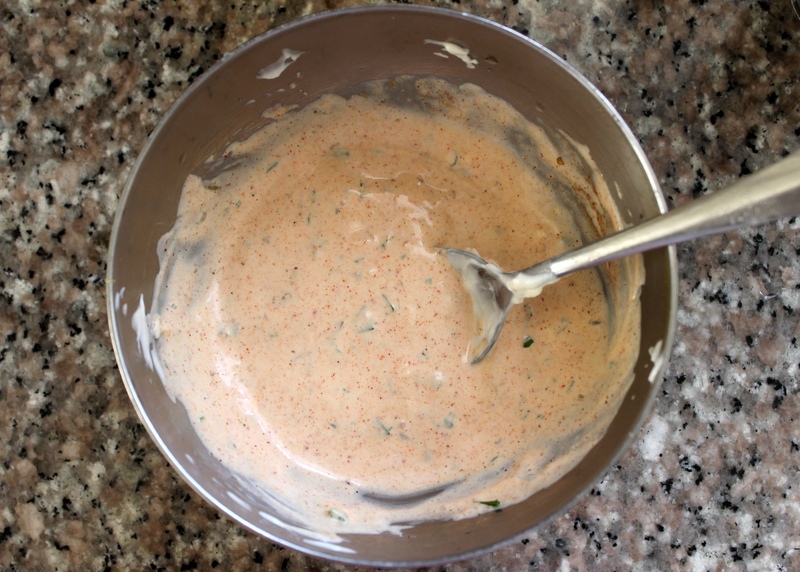 Prepare the remoulade: In a small bowl, mix together mayonnaise, Dijon, remaining lemon juice, parsley, hot sauce, remaining garlic, capers, Worcestershire, and remaining paprika. Season to taste with salt and cayenne. Refrigerate until serving. When the timer goes off, remove the bag from the water bath. Gently remove the tofu from the bag and pat dry. Discard cooking liquid. Pour cornstarch into a shallow bowl. Season generously with Creole seasoning. 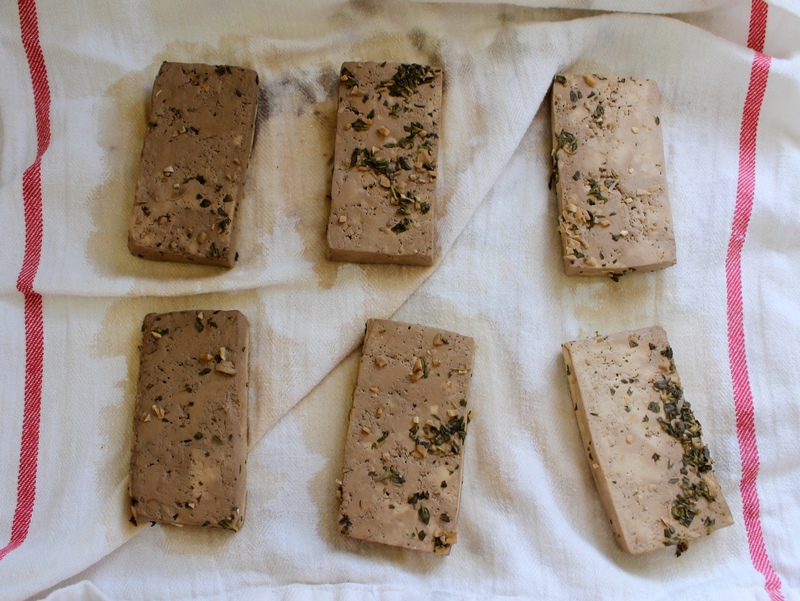 Dredge tofu slices in cornstarch mixture and shake off excess. Heat oil in a large skillet over medium heat. 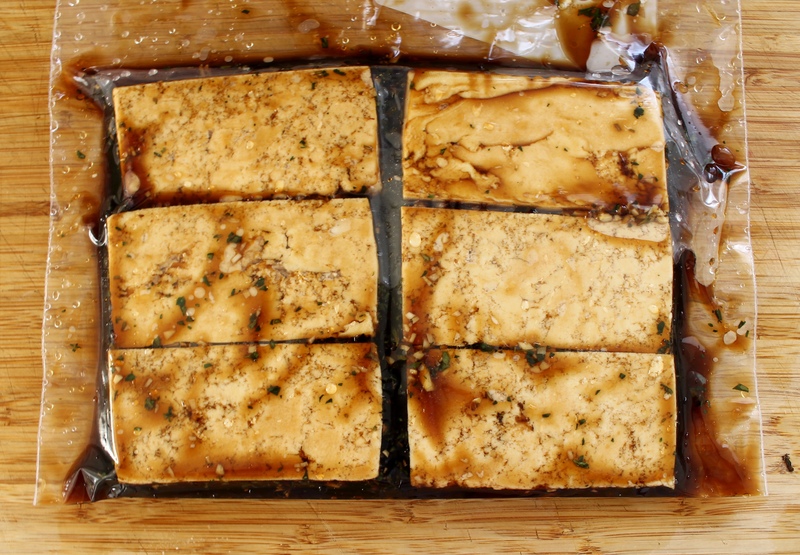 When the oil is shimmering, add the tofu slices. Cook, without moving, until the bottom sides are browned and they release easily from the skillet, about 3 minutes. Flip and repeat on the second side. Transfer to a plate and season with additional Creole seasoning. Using your hands, pull out the centers of the rolls. 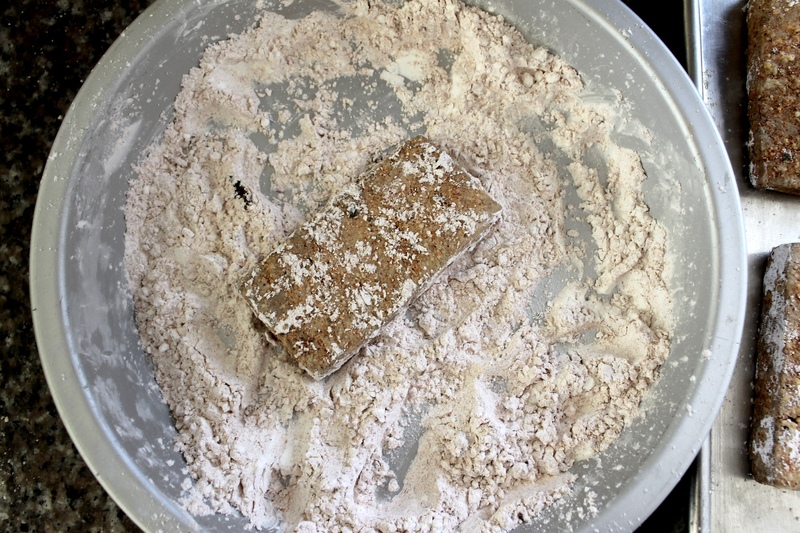 Reserve extra bread for another use (such as breadcrumbs). Divide remoulade between both sides of the two rolls. Spread evenly. Top with tomatoes, tofu and lettuce. Serve.